I'm no clinical psychologist or even a substance abuse counselor, but I'm quite certain you've got some sort of problem if you get so intoxicated that the next day you can't remember attempting to strangle the life out of your wife. That's exactly what heavy metal icon Ozzy Osbourne tried to do to his devoted (obviously) wife Sharon during one of his many descents into the abyss of addiction a couple of decades ago. Such a traumatic event might lead those uninformed, if not outright naïve, about the chemically imbalanced, addicted brain to think that such a traumatic event would lead any "normal" person to turn his life around and quit drinking and doing drugs on the spot. 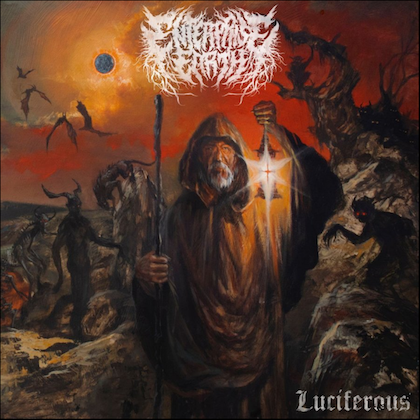 Instead, it was merely one of many bumps in what turned out to be a long road to recovery for the Prince of Darkness, a journey of extreme emotional ups and downs that is captured with balance, objectivity, and insightfulness on "God Bless Ozzy Osbourne". The original title of the film, "The Wreckage of My Past: The Ozzy Osbourne Story", is a more descriptive one, tying as it does to the rather autobiographical lyrics of "Road To Nowhere" (from "No More Tears") since it is such a gripping look into the man's tumultuous personal and public life. That "God Bless Ozzy Osbourne" was co-produced (with Mike Fleiss) by Ozzy's son Jack (the first project released on his own Jacko Productions) and doesn't result in pulled punches speaks to the care taken to ensure the documentary was an accurate one. The film offers a great deal of candid, often damning interviews from the Osbourne children from his past and present marriages. The portrait painted is that of the rise of a learning disabled, impoverished youth from the mean streets of Birmingham who would become a hugely infamous/influential front man that would spend most of his life in a fight with fame's dark forces. Since all four original members of BLACK SABBATH came from similar modest (at best) beginnings, to say they were unprepared for the rock whirlwind is putting it lightly. That dark side took its toll on all of them to varying degrees, but most severely on Ozzy and drummer Bill Ward. 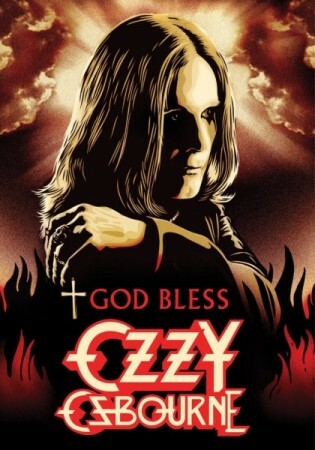 Through interviews with Ozzy's family, friends, and management, as well as musicians as different as Henry Rollins, Zakk Wylde, Paul McCartney, and Tommy Lee, "God Bless Ozzy Osbourne" takes the viewer on a manic depressive roller coaster ride across three decades of (mostly) great music, crippling addiction, and domestic turmoil. The viewer is right there with Ozzy from his years in Birmingham, on through his meteoric rise and precipitous fall with BLACK SABBATH; his reemergence as a solo super star; the deaths of his father and Randy Rhoads; all the madness of the CBS years (e.g. bats, doves, and MÖTLEY CRÜE); and that definitive double-edged sword called "The Osbournes". The one constant through all of it was substance abuse, though Sharon would become a close second. The only part I've left out is the one involving the high note on which "God Bless Ozzy Osbourne" ends; that being the miracle of Ozzy living long enough to experience sobriety that lasted longer than the periods between rehab visits. It is true that the film contains BLACK SABBATH and Ozzy-solo footage (Randy Rhoads included), as well as interviews with numerous rock and metal legends, but it all feels secondary to what is really a story about the personal struggles of a big-hearted, but emotionally fragile and insecure human being disguised as a rock star. Yes, this is a film that any Ozzy Osbourne fan should own. It is also one that should be seen by anyone who has struggled with addiction or been close to someone who has. Addiction is a lifelong war. Fortunately, Ozzy finally reached that elusive light at the end of a very long tunnel.